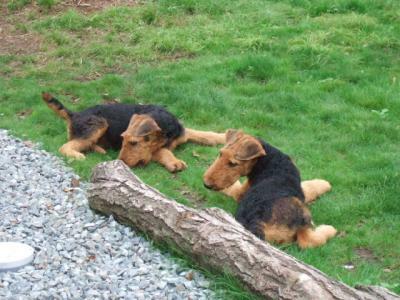 This section is for future and current Airedale owners and breeders who want to know more about common health issues that affect Airedales. Some of the issues listed below are currently being investigated by researchers. 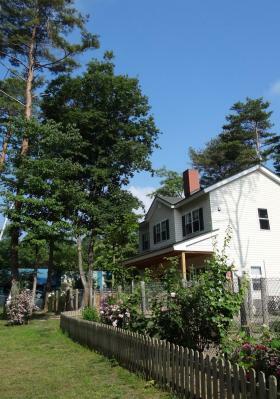 The Foundation hopes to add studies when and where possible. The information below is based on contributions from the veterinary and canine research communities. Congenital diseases and conditions are problems that occur due either directly to the genetics of the dog or because the genetic make-up predisposes a problem. 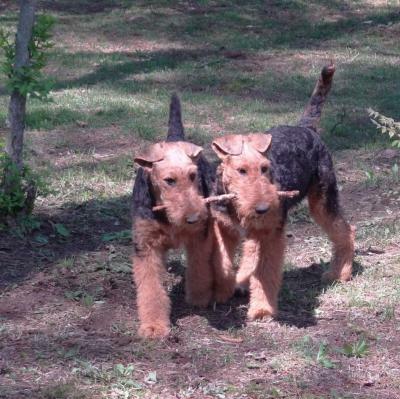 All dogs can have congenital problems and Airedales are no exception. Responsible breeders try to avoid dogs with serious congenital problems and they pay close attention to existing problems in the breed. There are a number of conditions that have been reported in Airedales and they are discussed below. Some data from the 2001 Airedale Terrier Club of America (ATCA) Breed Health Survey is included. A more current survey is underway. As these results become available, the below statistics will also be updated. 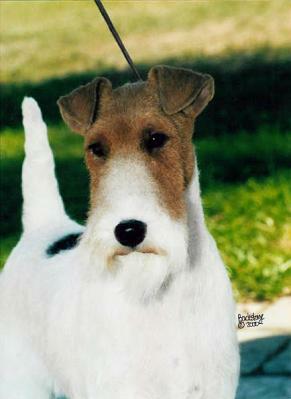 Allergies are common to all wire-haired breeds including Airedales. This is a climate-specific problem that varies in significance in different parts of the country. With allergies, dogs exhibit itchy skin, flaky and dry skin, and a predisposition for "hot spots" which are raw sores that break out on the skin. Skin allergies are also frequently associated with ear and eye infections. Most vets are very comfortable treating allergic dogs and the condition is generally quite controllable. Breeders generally de-emphasize dogs with allergic tendencies in their breeding programs. Autoimmune Hemolytic Anemia is a condition where an animal's system will start to destroy its own red blood cells, without explanation. It is sometimes treatable, but death often results. It is believed to have some genetic predisposition, but this is not proven. The evidence is strong enough that affected dogs should not be used in breeding programs. Bloat, also known as gastric dilatation-volvulus (GDV), is the number-one cause of death for several large and giant breeds. 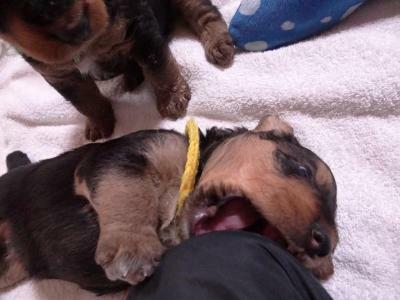 There have been a few reported cases of bloat in Airedales as well (which is considered a medium-sized dog). If this painful disorder is not treated within one to two hours, it is life-threatening. What happens with the condition: The stomach fills with gas. The increased pressure compresses both ends of the stomach, preventing the gas from escaping. But most cases - 75 percent - are due to gastric volvulus, where the stomach actually twists, crimping and cutting off the inflow and outflow from the stomach. When the stomach gases cannot get out, they expand. Affected dogs drool saliva because they cannot swallow. Also, they cannot belch or vomit, which would help relieve the mounting pressure from the stomach gases. The pressure causes the abdomen to become distended. When tapped, the abdomen can sound like a drum. For more about Risk Factors and Prevention, Click Here. 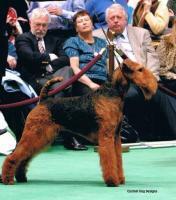 Cataracts was reported by the 2001 ATCA Breed Health Survey as affecting 8% of Airedales. The survey reports may be a misinterpretation of what is actually nuclear sclerosis of the lens, a fairly common change associated with aging, rather than actually being cataracts. The vast majority of cases were senior dogs, but roughly 1% were affected as younger dogs when juvenile cataracts would be suspected. The survey reported a very low incidence of other inherited eye conditions in the breed. Cancers in canines as a rule are more reported now in veterinary medicine than they were a few decades ago. Many believe that this is due to greater toxin exposures or other causes. A simpler, and more likely explanation is that dogs are simply living longer than they used to. Improvements in nutrition and dog care has greatly lengthened lifespans. Cancer tends to affect older individuals more than younger animals, so we now have more older pets and consequently, see more cancers. With exceptions of dogs like the example above, most dogs afflicted by cancer are older and are often great-grandparents in breeding programs. Selecting against the tendency to get cancers under that circumstance is realistically impossible. By the time a dog is a great grandparent, it is often an ancestor of many dogs in many breeding programs. Selection against many of these cancers (if they have genetic origins) will likely wait until there are identified genetic markers for these diseases. 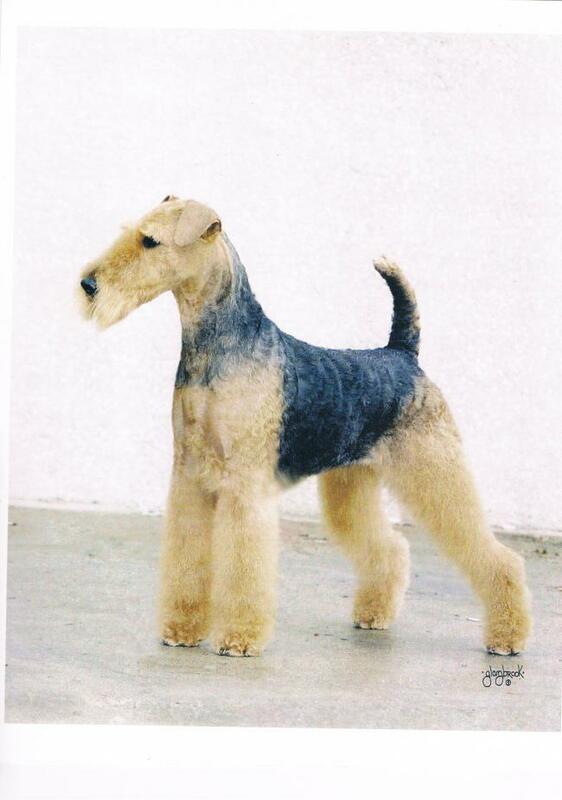 The 2001 Airedale Terrier of America Breed Health Survey found cancers to be the most common causes of death in Airedales, but the vast majority of deaths due to cancer are in senior dogs. No particular form of cancer stood out as particularly prevalent in the survey. Melanoma was reported most frequently, followed by adenocarcinoma, hemangiosarcoma, then lymphoma. Click Here for more information about Cancer Types in Canines. Cerebellar ataxia- This condition is a brain abnormality that is inherited (generally) as a simple autosomal recessive gene. Affected puppies typically exhibit signs at 6 to 12 weeks of age. The problem is not commonly reported in the breed. Affected kennels can test breed their breeding stock to identify and eliminate carriers from their breeding program. The problem is under study at the vet school of the University of Missouri (Dr. Dennis O'Brien) and a genetic marker for the problem in Pointers has been identified. The marker is not useful in Airedales at this point but further research is planned. Colonic Disease is a catchall phrase of large bowel problems (blood or mucous in stool, diarrhea, constipation) and Airedales may be more predisposed to these various problems than other breeds. Sometimes the term "sensitive stomach" is associated with this syndrome and some dogs may have the tendency to vomit more than most. The origin of these problems can be multi-factorial. Allergies, nutrition, environment, and many other issues are often investigated to identify causes. Often, simple solutions, like dietary modification, resolve the problems without actually identifying the real cause. 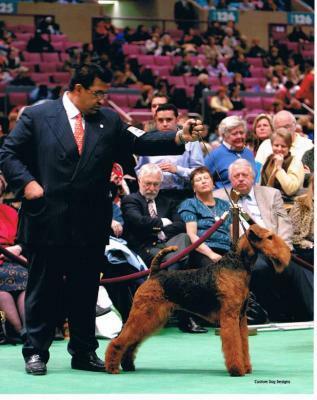 The 2001 ATCA Breed Health Survey reports about 10% of Airedales have some form of problems consistent with the description "sensitive stomach". This is probably a little above average for breeds in general. Note that the Breed Survey found 4% of Airedales had problems due to eating "foreign bodies". Epilespy simply refers to repeated seizures. Seizures may occur as a one time event in an animal from a variety of causes, but only if the seizures repeat again and again over a period of time do we call it epilepsy. Seizures are a sign of brain disease the same way a cough is a sign of lung disease. Saying an animal has epilepsy is like saying it has a chronic cough; it is a sign of a problem which isn't going away. Anything which damages the brain in the right area can cause epilepsy. If we can identify the cause of the seizures, say a brain tumor or a stroke, then we say the pet has symptomatic (or secondary) epilepsy. That is, the seizures are a symptom of a disease process we've been able to identify. If we've looked and can't find the cause, then we call it idiopathic (or primary) epilepsy. The term idiopathic simply means that we don't know the cause. It may be that the cause has escaped our attention; for example, a stroke that is too small to detect with routine brain scans or damage that occurred during whelping. Many of the idiopathic epileptics have inherited epilepsy: epilepsy caused by a mutation in a specific gene which they inherited from their parents. Dogs with idiopathic epilepsy frequently begin seizing at between one and three years of age, and certain breeds are predisposed to develop epilepsy. A few breeds have proven hereditary epilepsy, while in most it is just a strong suspicion. One of the goals of the Canine Epilepsy Project is to identify genes responsible for epilepsy in dogs. This will allow us to positively diagnose the hereditary form and take steps to decrease the incidence of epilepsy in dogs. For more information about Epilepsy and current research studies, please visit the Canine Epilepsy Project. Hip Dysplasia is the degeneration of the hip joint causing discomfort and lameness. All breeds of dogs can be affected. Smaller breeds compensate sufficiently for the problem in that the condition causes only minimally (generally unnoticed) effects. Larger breeds can be crippled by the defect. It is generally recommended that breeders of larger breeds of dogs test their breeding stock by X-rays to assure that there is no problem. Airedales are included in this recommendation. There are two common ways to "certify" breeding stock as tested for hip dysplasia. 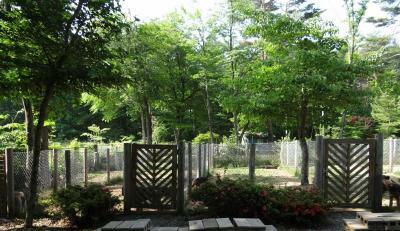 The main system is OFA certification . Under this system, a vet takes X-rays (generally under sedation) of the dog when it is over two years of age. The X-ray films are submitted to a board of three veterinary radiology specialists that score the hips as excellent, good, fair, borderline, mildly dysplastic, moderately dysplastic, or severely dysplastic. Any of the first three scores are acceptable without significant bias. The second method of certifying hips is the Penn-hip system. This is a patented technique, run by a corporation and is not as commonly used. Few vets offer the service, since special (expensive) training is required and insufficient demand exists for the service. Those involved with the service consider the system superior since it can be done on dogs as pups and they feel that since it tests laxity in the hip joint, it is a better indicator of hip dysplaysia development, when normal X-rays would not detect a problem. Scoring for the system is numerical with scores below 0.3 considered very good. The average score of Airedales tested in the system is currently about 0.5 and scores above this number are considered inferior. The OFA reports that 11% of Airedales are dysplastic. Latest Research Findings on Canine Hip Dysplasia. Hypothyroidism is a defect in the production of thyroid hormone that typically manifests itself as primarily skin problems in dogs. Breeding stock can be tested with a simple blood test. (Hyperthyroidism is a less commonly occurring issue in canines. Thyroid cancer is the most common cause, and less commonly iatrogenic (caused by therapy or medicine). Hyperthyroidism is characterized by the overproduction of thyroxine, a hormone secreted by the thyroid gland. Although a rare condition for dogs, it usually affects middle-aged to older dogs. The disease progresses slowly, but can affect many different organ systems.) For 2010 research publication references, visit Insights into VeterinaryEndocrinology. Hyperadrenocorticism (Cushing's Disease) in dogs is a condition that results from the chronic overproduction of too much glucocorticoid in the body. In the normal dog, the pituitary gland produces a hormone called ACTH, which stimulates the adrenal gland to produce the glucocorticoid hormones necessary for the function of many systems in the body. If something goes wrong in the pituitary gland or adrenal gland and too much glucocorticoid is produced, then Cushing's disease develops. This is a very complicated disease with a wide range of symptoms and causes. Cushing's disease is considered a disease of middle age and older dogs and cats. It is much more common in dogs. Symptoms can include increased appetite and increased water consumption and urination, enlarged abdomen, hair loss and thin skin. Click on the disease name for more information. Hypoadrenocorticism (Addison's Disease) The adrenal glands produce corticosteriod hormones like cortisol and aldosterone. There are 3 forms of Addison's: primary, secondary, and atypical. In the primary condition, the disease is a result of immune-mediated damage to the glands. Secondary is when the pituitary fails to stimulate the adrenals with a hormone called the adrenocorticotropic hormone (ATCH). There are nuances of difference between the types, but the following generalizes the condition. Symptoms of the disease include vomiting, diarrhea, lethargy, lack of appetite, tremors or shaking, muscle weakness, and pain in the hind quarters. Click on the link for this disease name to read more. There are reports of Addison's in Airedales and the Airedale DNA Bank needs blood samples from affected and non-affected families of Airedales for study. Please see "How to Submit a Blood Sample" for instructions. Juvenile renal dysplasia syndrome is kidney failure in young dogs. The problem has been reported in Airedales. A genetic marker has been identified for this disease in Shih tzus, Lhasa Apsos, and Soft-coated Wheaton Terriers. A genetic marker allows a laboratory test to identify carriers of the disease. currently underway. Sacralisation and Lumbalisation (spondylosis) are where bony abnormalities develop along the spinal column and may lead to some discomfort, lameness, or stiffness. If often manifests itself as the dog ages. The 2001 Airedale Terrier Club of America Health Survey identified 3% of the participants being affected by spondylosis.